Turkish national defense minister on Saturday reiterated that Turkey continues its fight against terrorism. Turkey continues counter-terror efforts both in the field on an operational basis and at the table on diplomacy basis, Hulusi Akar said. 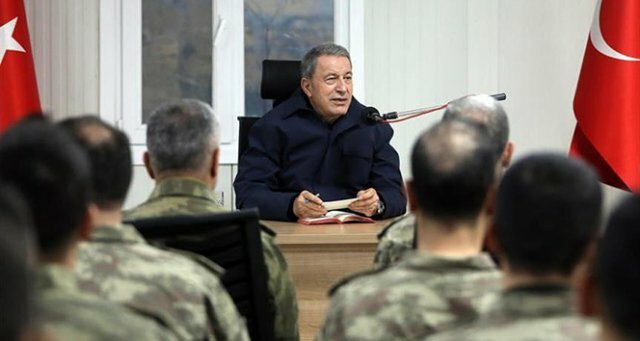 Akar’s remarks came during his meeting with commandos on ground zero at Turkish-Iraqi border. Turkish Land Forces Commander Gen. Umit Dundar accompanied Akar during the meeting. Akar said Turkey’s fight against terrorism and its supporters will continue until the end.